Lifetime Member, Ret. P.O. August "Gus" Frerks, passed away on April 17th, 2019, at the age of 80 years. Gus was appointed to the Transit Police on June 21, 1965 and retired on July 15, 1985. Funeral Services: There will be no viewing. A Memorial ceremony took place on Monday, April 22nd with burial at the Calverton National Cemetery. Our deepest condolences and sympathies to the Frerks family. May Gus rest in peace. Several Transit retirees had the pleasure of working with Gus in the St. Francis Hospital Security Department. I have been informed that Steve suffered a serious stroke several days before his passing in The Villages, FL. I was told by Joe McGarry that Steve was cremated and that a future memorial service will be held in July. Steve was appointed to the NYCTP 10/1/1973 and retired from NYPD. I believe he worked in District One as a PO, Sgt & Lt. After the merge, he retired from the NYPD on 4/20/1996. The above photo was sent to me by Charlie Rodriguez. Our deepest condolences and sympathies to the Buatti and Debnam families. May their loved ones rest in peace. I have been informed by Margaret Beneventano that her husband Joe had passed after a 5-year battle with cancer. He was cremated and a “Celebration of his life” took place on April 11th. Sad news. 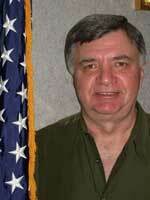 Eddie Hanus, who worked in District 3, passed away after a long battle with cancer. Eddie and Bob Daven’s picture was on the Retired Officer’s Membership Card several years ago. Eddie is in the foreground looking away. FYI, another retired MOS passes. Eddie Hanus, age 72, who worked almost his entire career in Dist. 3, died on Saturday, April 6. He came on in 1970 and retired in the mid-90s. He later served as the Director of Security at St. Thomas Aquinas College in Rockland County. He is survived by his son and 3 daughters. He wife, Ann, died about 2 1/2 years ago. He lived in Stoney Point, NY for last 44 years and grew up in the south Bronx. Eddie was appointed to the NYCTPD 3/21/70 and retired 7/2/92. May Eddie “Rest in Peace” with his wife Ann. Our deepest condolences and sympathies to the Beneventano and Hanus families. May Joe and Ed rest in peace. Herman Middleton Riggan Jr. of Maybrook, NY, passed away Tuesday, February 19, 2019, in Albany. He was 81. The son of the late Herman Middleton and Gretchen Moore Riggan, he was born August 30, 1937 in Warrenton, North Carolina. Herman served in the Air Force from 1956-1960 and was a NYC Transit Police Officer. Survivors include his wife, Gail Riggan; daughter, Patricia Ann DeLucia and her husband, James; granddaughters, Elizabeth and Kathleen. Herman was appointed to the Transit Police on April 13, 1965. His retirement date is unknown as he was not a member of the Retirees Association. Services took place on February 22nd. Our deepest condolences and sympathies to Gail and the Riggan family. May Herman rest in peace. Ret. Det. Philip Perry, formerly assigned to the Detective Bureau, passed away on March 14th, 2019. Philip was appointed to the Transit Police on January 29, 1982 and retired from NYPD on December 1, 2004. He worked in District 2 and drove Chief Cronin. Services took place on March 16th & 17th with a Funeral Mass and burial on March 18th. Our deepest condolences and sympathies to his wife, Karen, and the Perry family. May he rest in peace. Dorothy Croce, mother of Ret. PO Frank Croce, passed away on March 14th at the age of 102 years. Funeral services took place on March 18th & 19th. Our deepest condolences and sympathies to Frank and the Croce family. May Dorothy rest in peace. We sadly inform you of the passing of Ret. Sgt. Lloyd R. Finley on Thursday evening, February 28th. Lloyd was appointed to the Transit Police on November 1, 1967 and retired October 1, 1996. He was also a Past Presdient of the Transit Police Guardians Association. Lloyd was cremated. A Memorial service was held in Florida. The above photo was taken by Lou Hollander at the 1999 Reunion. We received the sad information that Lifetime Member Ret. P.O. Leonard DiCristino passed away on Friday, March 1st, after a long illness. Lenny had just been moved from his hospital room into a hospice unit where he passed away after a long illness. Lenny was appointed to the Transit Police on May 7, 1968 and retired January 3, 1985. He had been assigned to CWPS and worked in District 34. I am writing to let you know that Willie's cousin, Ret. P.O. Mike Narvaez, passed away on Wednesday, February 27. His family had a memorial service on Monday, March 4. If anyone would like to send condolences to his wife, Lydia, they can be sent to 600 Tradewinds Drive, Deltona, Fl. 32738 . Thank you for passing this information along. Our deepest condolences to the Finley, DiCristino and Narvaez families. May their deceased loved ones rest in peace. We regret to inform our members and fellow officers of the sudden passing of Lifetime Member, Ret. P.O. John DeLuca, on January 27th. John was appointed to the Transit Police on December 1, 1965 and retired on disability on January 1, 1980. Our deepest condolences and sympathies to the DeLuca family. May John rest in peace. Arlene Ercole, wife of Lifetime Member Ret. PO Arnold Ercole, passed away on February 13th at the age of 80 years after a long illness..
Funeral services took place on February 18th and 19th. Our deepest condolences and sympathies to the Ercole family. May Arlene rest in peace. Our deepest condolences and sympathies to the Keitel family. May Edward rest in peace. We regret to inform our members and fellow officers of the passing of Lifetime Member Ret. P.O. James Zacharakos, on January 11, 2019. James was appointed to the Transit Police on June 1, 1965 and retired on March 1, 1980. He primarily worked in District 34. Services took place on January 14th and 15th. We regret to inform our members and fellow officers of the passing of Lifetime Member, Ret. Sgt. John McEvoy, on January 26th, at the age of 78 years. John was appointed to the Transit Police on May 3, 1965 and retired November 2, 1991. His last assignment was in District 23. After retirement, John worked in the Security Department of St. Francis Hospital in Roslyn NY where he was the evening supervisor along with several other retired Transit officers. Our deepest condolences and sympathies to Lydia and the McEvoy family. May John rest in peace. We received information that Lifetime Member Ret. P.O. Richard Kilgen had passed away on November 19, 2013 at the age of 84 years. He was living in East Stroudsburg PA. This was another result of a search by Billy McMillen on mail that, for the first time, was returned as "Unknown." Richard was appointed to the Transit Police on June 21, 1965 and retired February 18, 1981. Attempts to contact his family were negative. Our deepest condolences and sympathies ot the Kilgen family. May Richard rest in peace. We regret to inform our members and friends of the passing of Lifetime Member, Ret. Det. Prentiss C. Johnson, on November 10, 2017. We sadly found this out when his mail was returned and we asked Ret. Sgt. Billy McMillen to do a search. He unfortunately came up with this result. Prentiss was appointed to the Transit Police on July 29, 1968 and retired November 4, 1988. Funeral services were private. Ret. P.O. Derrick Davis passed away on January 12th, 2019. He was last assigned to District 30. Derrick was appointed to the Transit Police on July 15, 1986 and retired July 17, 2006. Services were held on January 19th. Our deepest cpondolences to the Johnson and Davis families. May their deceased loved ones rest in peace. January 19, 2019 LIFETIME MEMBER RET. LT. DANIEL D'ALESSANDRO, SR.
FATHER OF RET. DET. DANIEL D'ALESSANDRO, JR..
Funeral services took place on Monday and Tuesday, January 21 & 22 with a Funeral Mass and burial on the 23rd. Our deepest condolences and sympathies to his wife Gloria and the D'Alessandro family. May he rest in peace. A viewing took place on January 9th with a Funeral Mass and burial on the 10th. Our deepest condolences and sympathies to his wife, Anne, and the Nuzzela family. Auggie and Anne, along with the late Dave Powell and his wife, spent annual vacations in Aruba with Mike and Doris Lanning. Rest in Peace. A viewing and Celebration of Life took place on Thursday, January 10th followed by burial in Calverton National Cemetery. Our deepest condolences and sympathies to the Jackson family. May Ronald rest in peace. We regret to inform our fellow officers of the passing of Retired Sgt. John McCabe who passed away on December 30th, 2018. John was appointed to the Transit Police on May 20, 1974 and retired July 22, 1999. Viewing took place on 1/2 & 1/3/19 with a Funeral Mass on Friday, 1/4/19. Our deepest condolences and sympathies to his wife, Kathleen and the McCabe family. May John rest in peace. John was appointed to the Transit Police on 12/1/1965 and retired October1, 1978. May he Rest in Peace. Retired P.O. James Jiminez, passed away on December 14th. James was appointed to the Transit Police on January 9, 1986 and retired from NYPD on February 1, 2006. Our deepest condolences to the Villano and Jiminez familes. May John and James rest in peace. 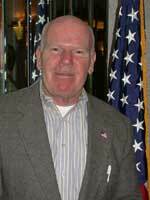 We regret to inform our members of the passing of Former Treasurer and Lifetime Member, Ret. P.O. John Regan on Friday, December 14th at the age of 78 years after a long illness. John was appointed to the Transit Police on May 1, 1965 and retired September 1, 1985. John was active in the Association as a Vice President, Treasurer and Legislative Director, during which time he vigorously did his best to get the Variable Supplement Bill for those unjustly denied it. Health issues forced John to retire from the Assocation and his health steadily declined thereafter. John is survived by his wife Karin and their two children. I just received sad news from Ann Jorgensen, Walter's wife; that Walter passed away on Monday 12-10-2018. Walter was a good man and a great cop. Walter worked in District One until his retirement he was also a PBA Delegate D-1 , he also worked in Dist.4 for a number of years and was a Vietnam Veteran. He had been sick with Parkinson's for several years. May He Rest in Peace with Our Lord. Walter was appointed to NYCTPD 7/20/70 and retired 5/9/85. You can view Wally’s obituary on the Funeral home web page http://www.farleyfuneralhome.com/obituary/walter-jorgensen/ Condolences can be left there also. Walter Jorgensen passed away peacefully on Sunday December 10, 2018. Born in Brooklyn, New York, and preceded in death by his father Walter and mother Florence Tanzey Jorgensen. He is survived by his devoted wife Ann, his daughters Florence Jane and Annie Lee, his son Walter (Wally) Joseph, granddaughter Maia Genevieve, his sisters Florence Anderson and Eileen Jorgensen, brother-in-law Richard Anderson, nephew Richard Anderson Jr. and his niece Veronica Donchez. Walter proudly served his country in the United States Army in Viet Nam, and his community as a member of the New York City Transit Police Department and later the Sarasota County Sheriff's Department. In 1971 he married the love of his life, Ann E. Donovan. An avid fan of the Florida State Seminoles, the New York Yankees and the New York Giants, Walter freely shared his love of sports with his children. He was a Little League t-ball, baseball, and softball coach for each of his children's teams as well as a poolside Dad as they swam for the Lane 4 Swim Team. His storytelling is legendary and his sense of humor and quick wit will continue to bring laughter to all who knew him. Walter's lifelong passion was fishing. Friends and family alike will remember the good times they shared on both the water and surf. A Memorial Mass will be held at St. Maximilian Kolbe Catholic Church in Port Charlotte. A future date will be announced. Our deepest condolences and sympathies to the Regan and Jorgensen families. May John and Walter rest in peace. Today, December 12th, our son, Brian, a recently retired member of the Suffolk County Police Department, passed onto his heavenly reward after many months of severe suffering with the effects of an extremely aggressive cancer. Brian began his police career with the Police Department, City of New York. Shortly thereafter he was appointed to the Suffolk County Police Department and there completed twenty-five years of loyal and outstanding service. He was known by all who he encountered as a compassionate, trusting, humble, and giving person. During his career he was assigned to various precinct commands, Highway Patrol, completing his service with the Marine Bureau. He loved “The Job” with its true joy of helping others. Brian will always be missed and will continue to be loved by everyone who knew him. The photo is of Brian and his two children. Our deepest condolences and sympathies to the Dwyer family. May Brian rest in peace. Ret. P.O. John McMullan, passed away on December 6th, 2018. He was appointed to the Transit Police on November 4, 1966 and retired June 8, 1983. Funeral services took place on december 9th with a Funeral Mass and burial on the 10th in Calverton National Cemetery. Our deepest condolences and sympathies to his wife, Rosemary, and the McMullan family. May John rest in peace. We heard yesterday about Lenny passing away but we didn't have any information until today. We regret to inform our members of the passing of Lifetime Member, Ret. P.O. Leonard "Lenny" DeRosa on November 23, 2018 at the age of 93 years. I remember working with Lenny in the O/U back in the late '60s and believe he retired from there. He was a US Marine veteran from WWll. Lenny was appointed to the Transit Police on April 5, 1955 and retired January 15, 1988. Funeral services took place in Maspeth NY on November 26 and 27th. Our deepest condolences and sympathies to the DeRosa family. May Lenny rest in peace. Our deepest condolences and sympathies to the Mack and Bucalo families. May their deceased loved ones Rest in Peace. We regret to inform our members and friends of the passing of Lifetime Member, Ret. P.O. John Lilley, on November 12th, 2018 at the age of 76 years. John had been in ill health the past few years, suffering from dementia. John was appointed to the Transit Police on June 21, 1965 and retired July 3, 1986. He spent most of his career in District 34 where Frank Crisa and I had the pleasure of working with him. May he rest in peace. Funeral services took place on Wednesday & Thursday, November 13-14th. John is survived by his wife, Fran, and we offer our sincere condolences and deepest sympathies. Ret. P.O. John Feeley, passed away on November 3rd, 2019. John was appointed to the Transit Police on December 1, 1965 and retired October 25, 1985. He worked in District 3. Our deepest condolences and sympathies to his wife, Elizabeth, and the Feeley family. May John rest in peace. The NYC Retired Transit Police Officers Association Executive Board is extremely saddened to inform our members and friends of the passing of our President Ed Russo at 3 AM this morning, October 19th, at the age of 79 years. Ed had been in hospice for cancer the past several weeks, fully aware of the inevitable outcome. He had many visitors who came to wish him well and trying to boost his spirits. Ed was unique in his own way and loved the association dearly, spending numerous hours either on the phone or the computer. He will be dearly missed. Ed was appointed to the Transit Police on 5/13/65 and retired 7/4/86 Rest in Peace our very good and dear friend. First VP Mike Lanning will now assume the office of President of the association. Services took place on October 21st and 22nd.